A price cut that Lietuvos Dujos (Lithuanian Gas) obtained from Russia's gas giant Gazprom earlier this year has more than covered the Klaipėda liquefied natural gas terminal's construction costs for consumers, Energy Minister Rokas Masiulis said on Monday. 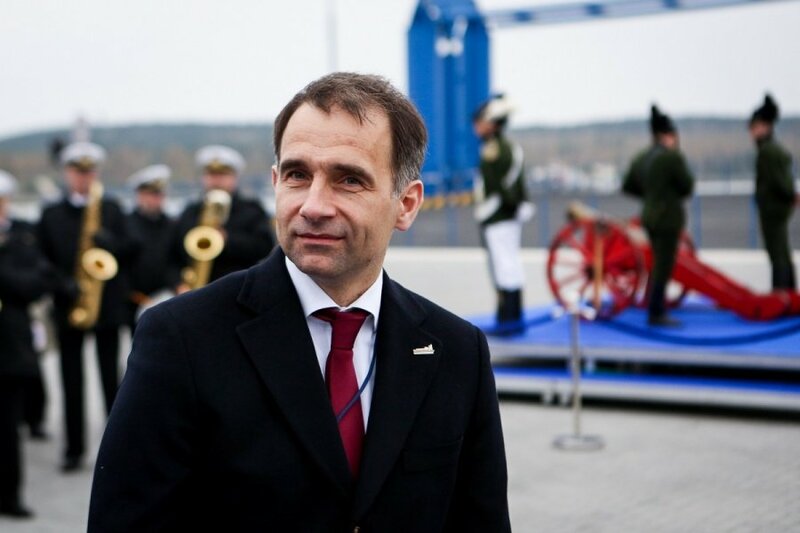 "This reduction by Gazprom has paid for our terminal construction four times," he told reporters in Klaipėda after the Independence, the floating storage and regasification unit (FSRU) built for the LNG terminal, arrived in the port. Since the terminal's construction costs make up 5 percent of the final gas price for consumers, the 20-percent reduction covers the costs for consumers four times, Masiulis said. "The terminal itself is not a very expensive piece of equipment," he added. The minister said at a news conference later in the day that following the reduction, the price of gas supplied by Gazprom is similar to that supplied by the LNG terminal. "If we look at the past several months, the price of gas we receive from Gazprom and the price of gas we receive from the LNG terminal are very similar, between 900 and 1,000 litas (EUR 260-290) per 1,000 cubic meters," he said.